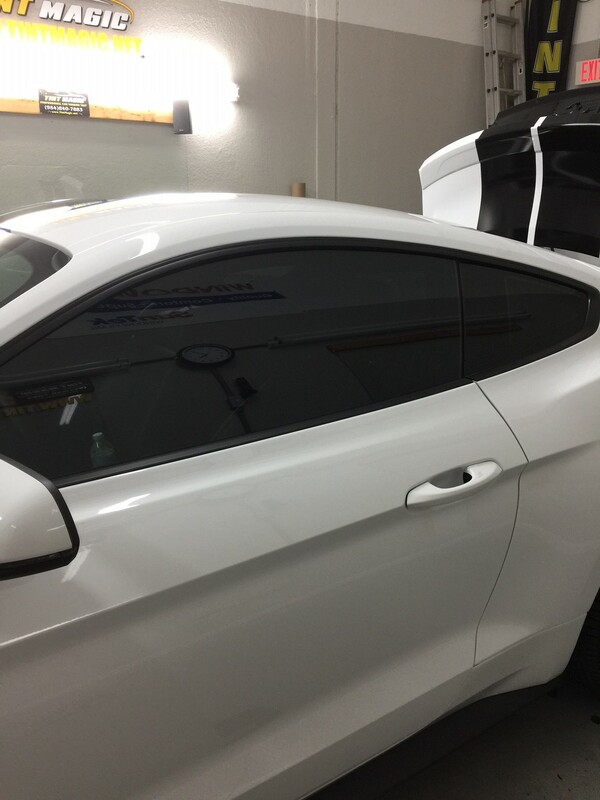 Ford Mustang at Tint Magic Window Tinting Coral Springs. Call us for the best quality and service. The Mustang is now over half a century old, yet remains one of the most widely recognized and desired nameplates in the automobile business. Today’s Mustang still delivers the bold styling, rear-drive performance and affordability that have been Mustang hallmarks for decades.The Mustang is available either as a coupe or convertible in V6, EcoBoost, or GT trims. V6 trims are equipped with a 300-hp 3.7-liter V6; EcoBoost with a 310-hp 2.3-liter four-cylinder; GT features a 435-hp 5.0-liter V8 engine. A six-speed manual transmission is standard, while a six-speed automatic is optional. Standard safety features include electronic stability control, traction control, four-wheel anti-lock disc brakes, side-impact airbags and sequential LED sequential tail lamps. 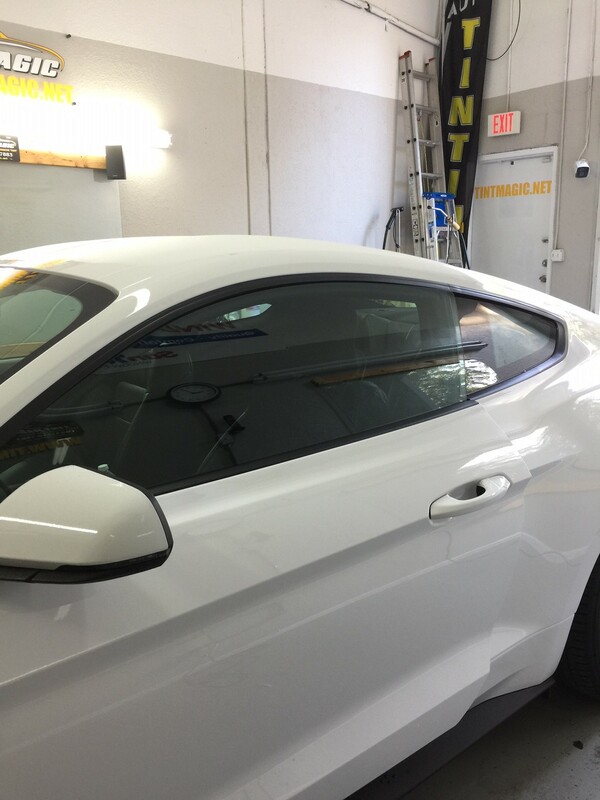 All Mustangs come equipped with air-conditioning, alloy wheels, high-intensity discharge (HID) automatic headlights, limited slip differential and leather steering wheel with cruise and audio controls. 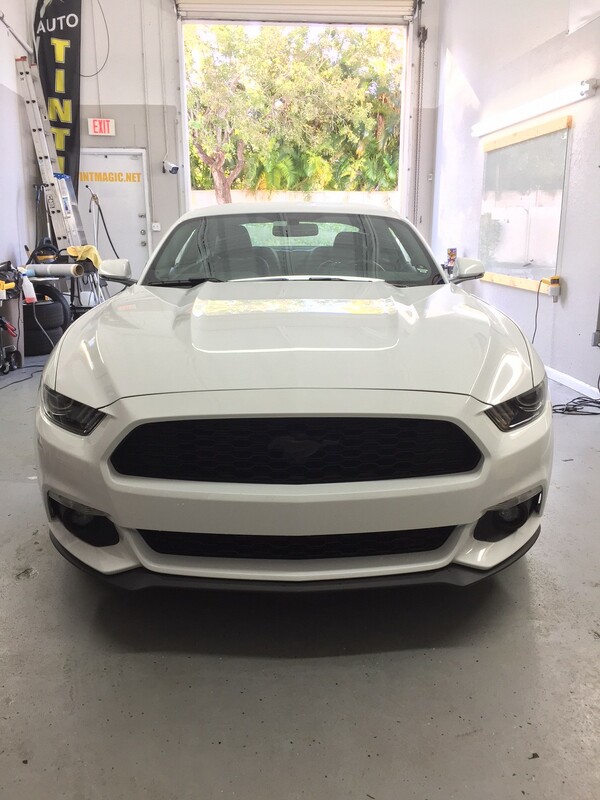 Heated power leather seats, satellite radio, and a navigation system are just some of the available upgrade features.The Mustang is a carry-over model for 2017.